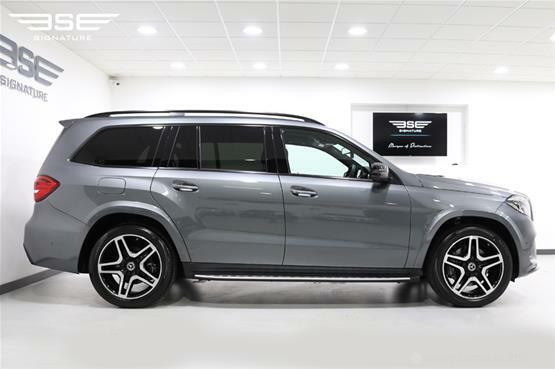 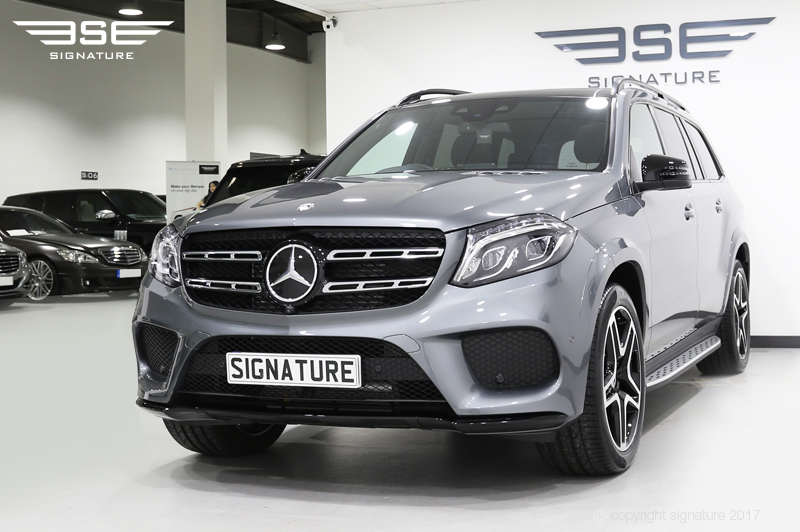 If you are looking for a big hire car then the Mercedes GLS 350D ticks all the boxes and more; it’s huge and comes complete with seven full-size seats and plenty of luggage space. 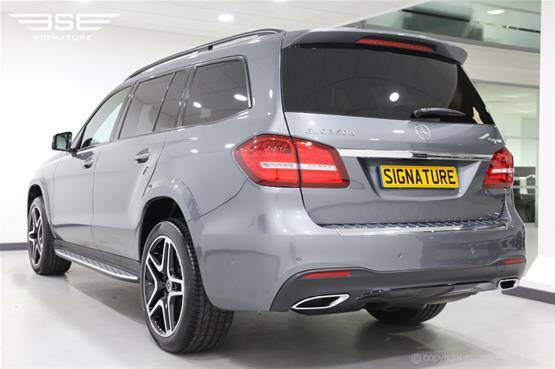 With neutral driving characteristics and loads of grip this model is predictable and safe, an ideal car hire choice if you have lots of little passengers to transport. 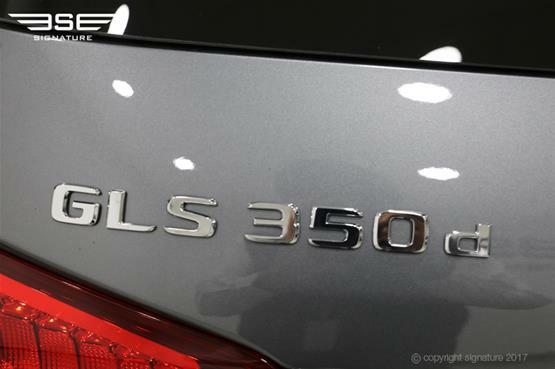 And if safety is at the top of your tick list then the GLS has this covered too with inclusion of a system that will apply the brakes if it senses an impending crash. 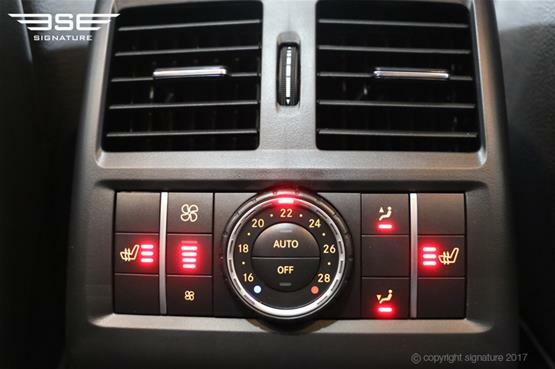 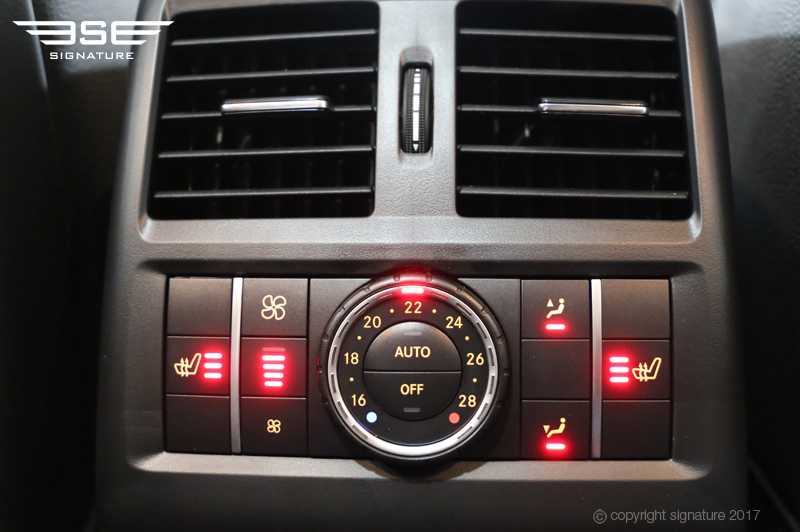 Four-wheel drive comes as standard, which helps prevent skids when accelerating and on corners. But it’s not all safety and comfort that drivers can get excited about considering the AMG Line comes with lots of top-spec features like the Harman Kardon sound system, keyless entry, 21in alloy wheels, LED headlamps, metallic paint, panoramic sunroof, heated front and rear seats, air suspension with adaptive damping, and a top-down camera system. In summary this model is very comfortable, does truly have seven seats, and it comes with loads of gadgets. 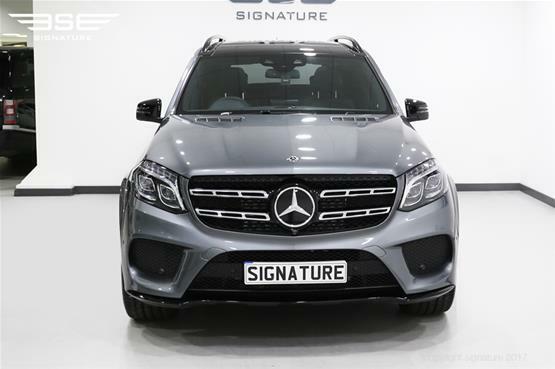 The most noticeable exterior styling change is the new grille which features an oversized three-pointed star and twin-blade embellishment. Also new is the front bumper, updated headlight graphics, new tail-light lenses, a amended rear bumper and new wheels. 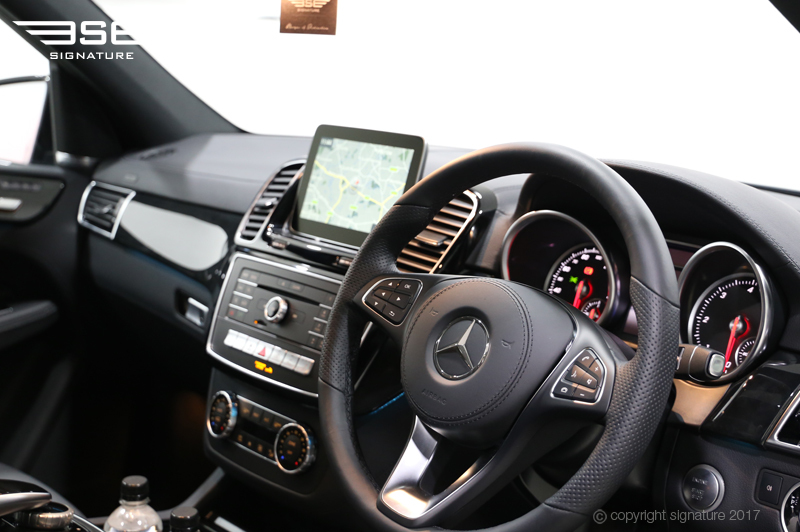 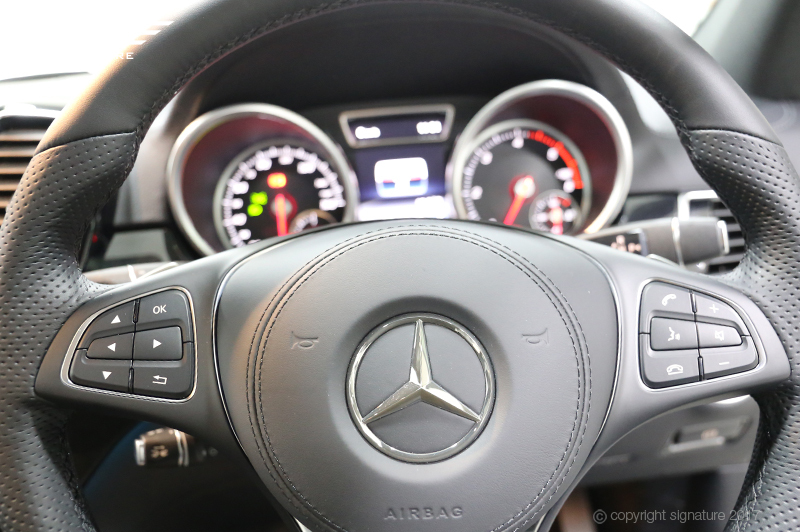 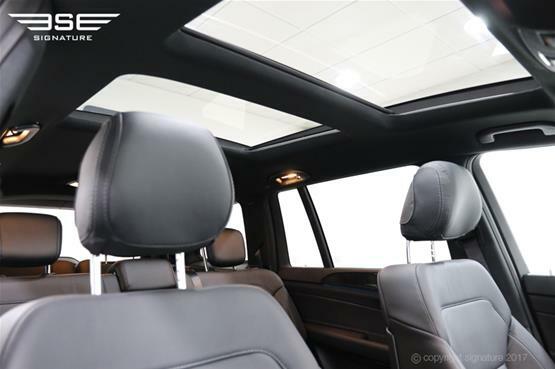 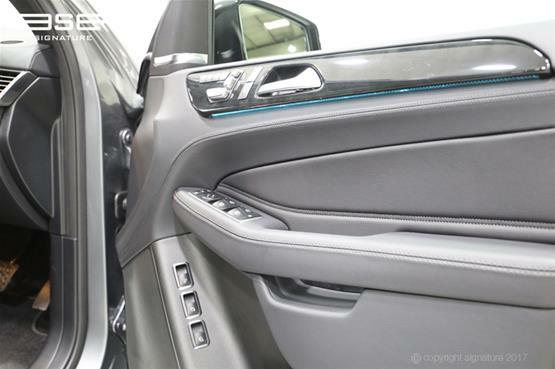 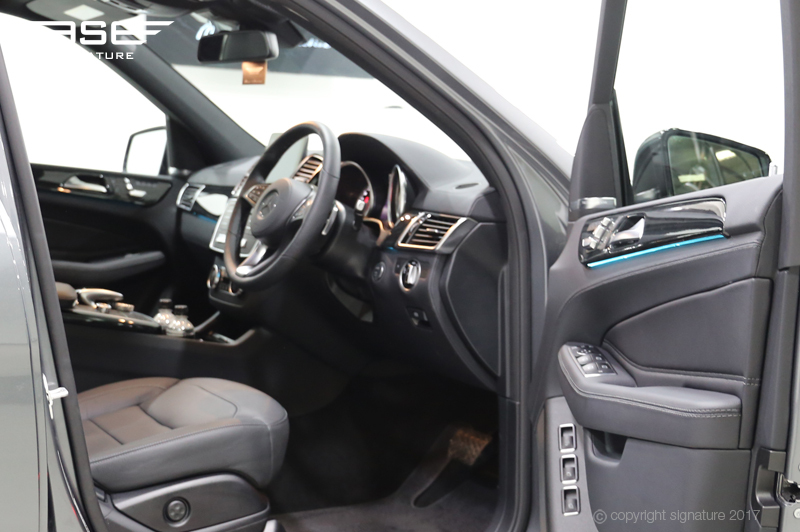 Mercedes interiors are currently some of the best on the market and when you step inside our GLS 350d hire car you’ll know why. The first thing you’ll notice is the sumptuous amounts of leather used alongside gloss-black plastics and brushed aluminium on the centre console. 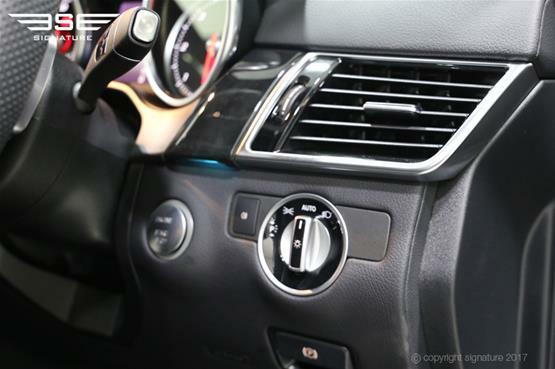 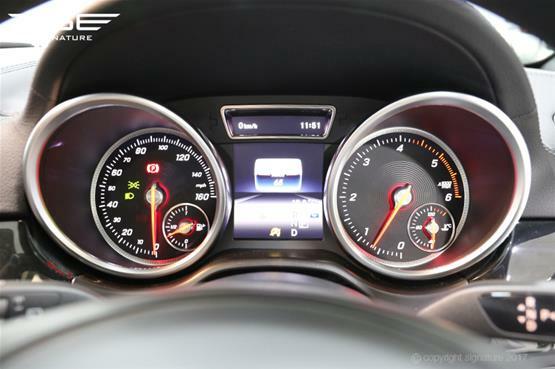 There’s an upgraded dashboard which houses a free-standing 7in infotainment monitor, altered instrument graphics and a new multi-function steering wheel. 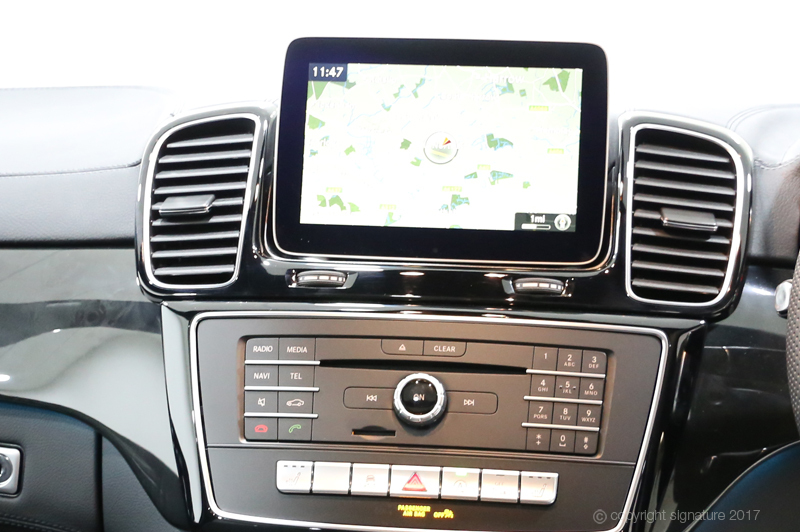 All buttons and controls are easy to access when driving and easy to identify; the dials and instruments are easy to read at a glance as is the large central display screen. 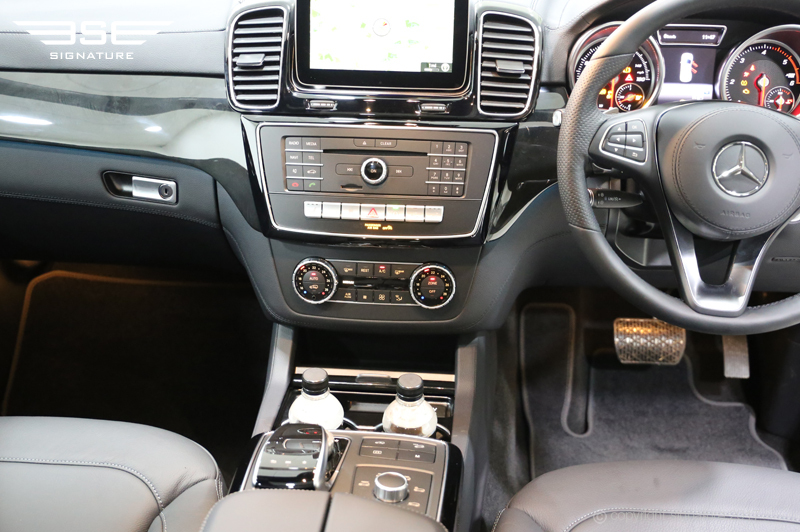 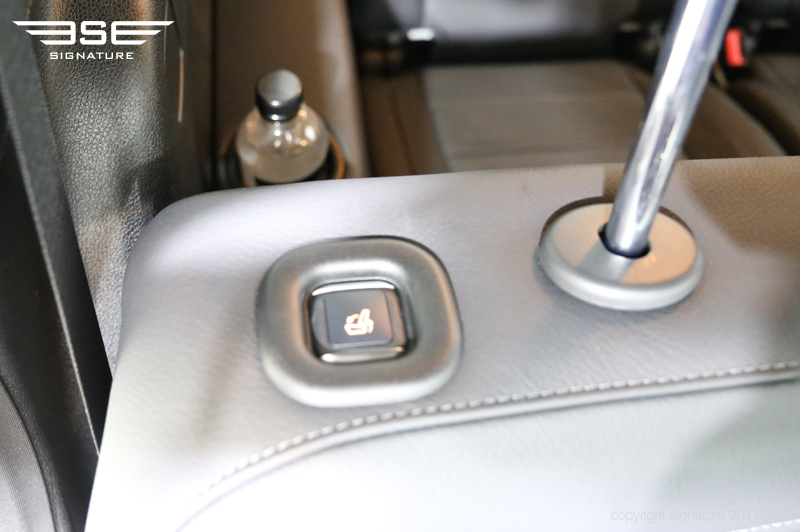 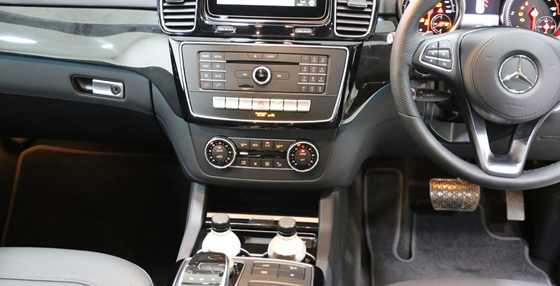 Drivers who love their gadgets will love the GLS which features a variety of electronic gadgetry to make it easier to park and manoeuvre this large sized vehicle. 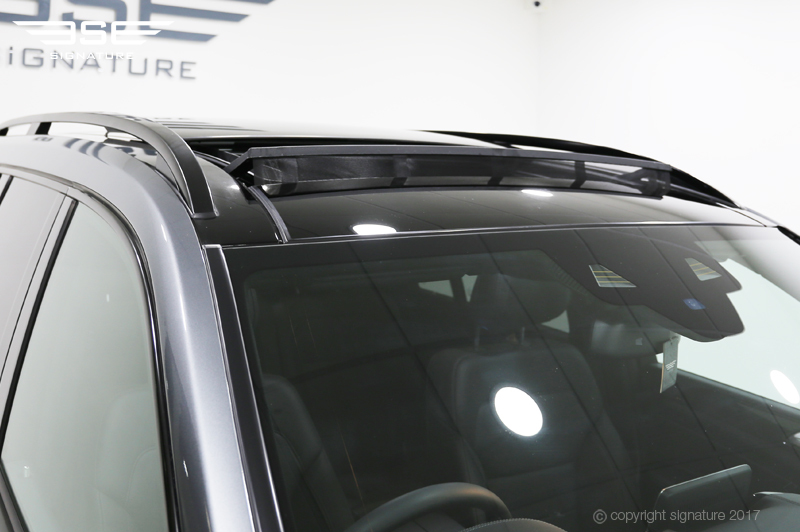 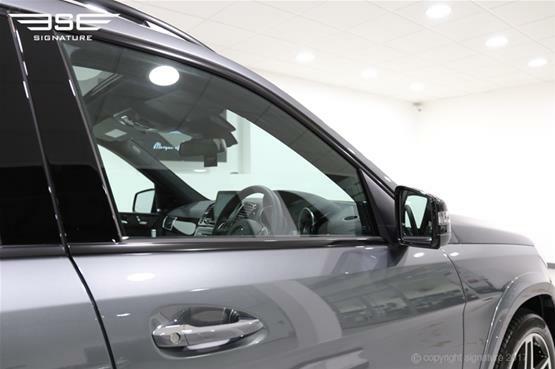 The camera system which projects an image of the car from directly above onto the central screen in addition to the traditional reversing camera and parking sensors making it simpler to park no matter the extended length of this model. 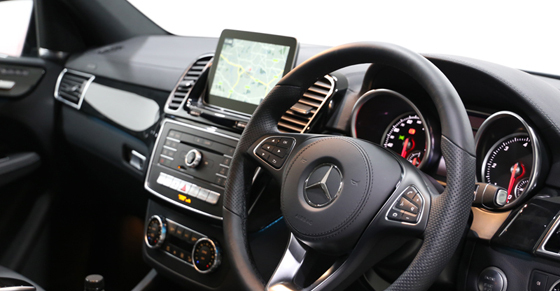 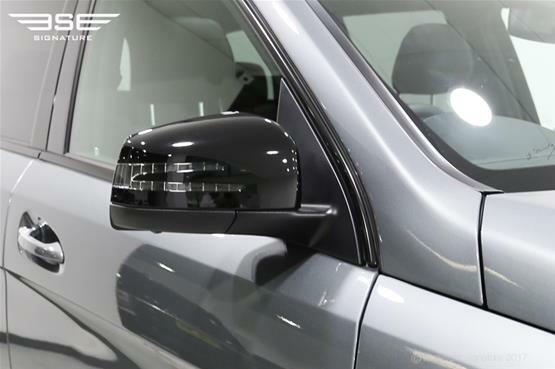 The GLS’s high driving position and large glass area allows for good visibility all-round. 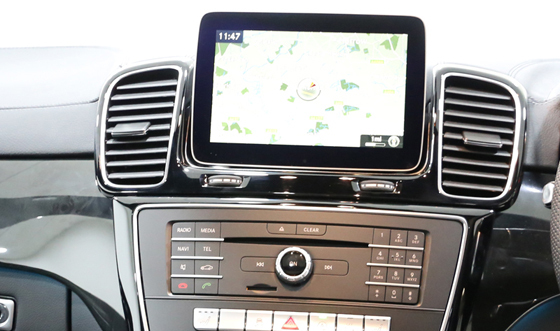 Among the new connectivity features is the Comand Online system which uses an infotainment monitor and provides wireless LAN hotspot functionality via LTE networks when available. 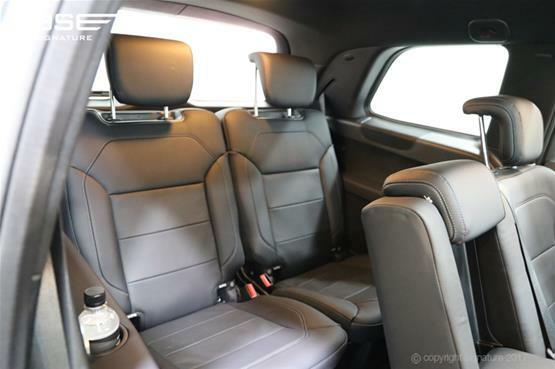 With this car it is all about the seating. 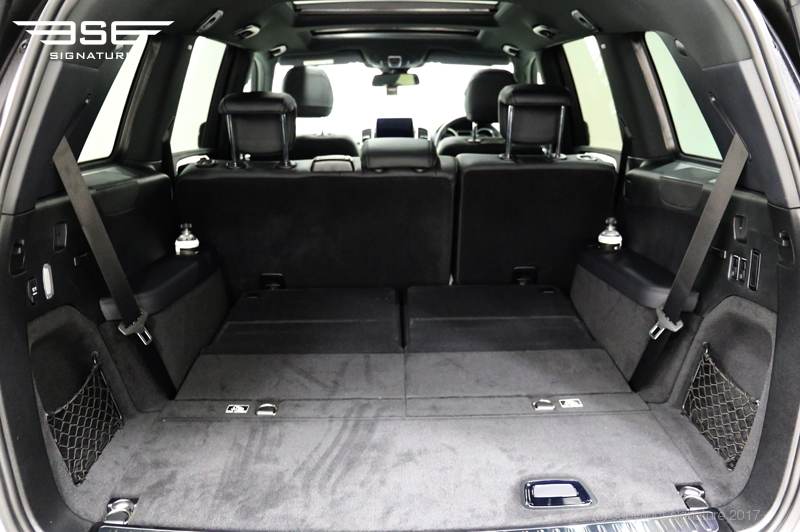 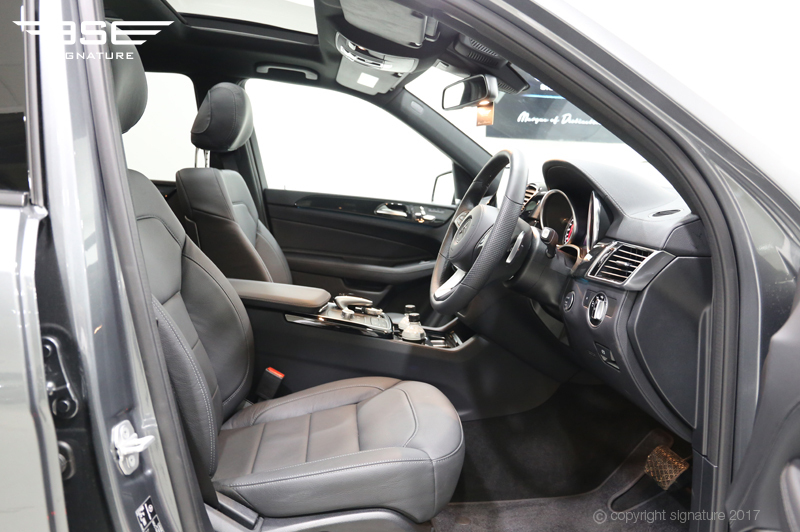 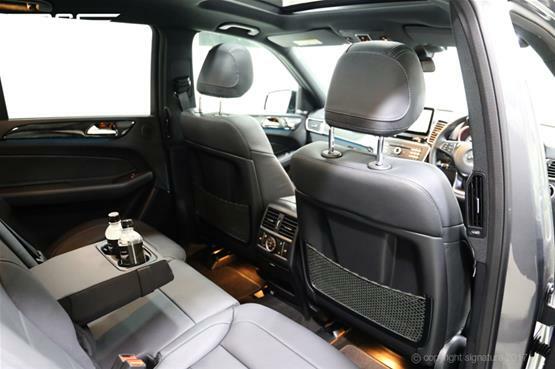 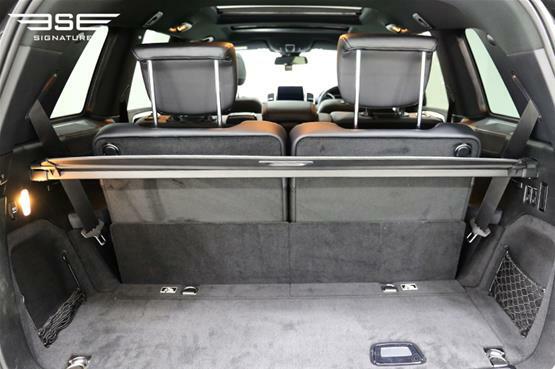 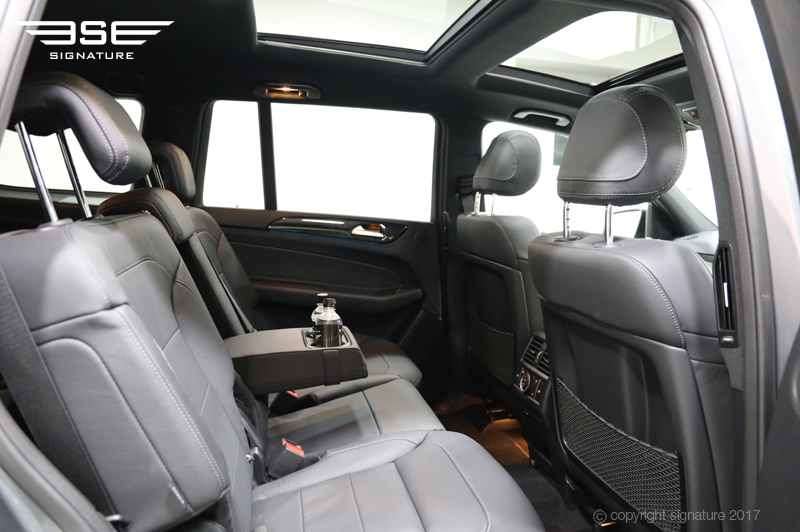 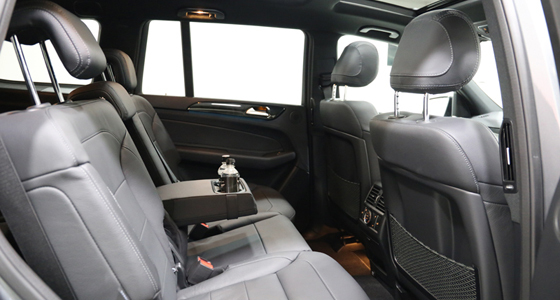 There are seven proper seats inside the Mercedes GLS. Second-row passengers have plenty of room and even the third-row have a good amount of space. 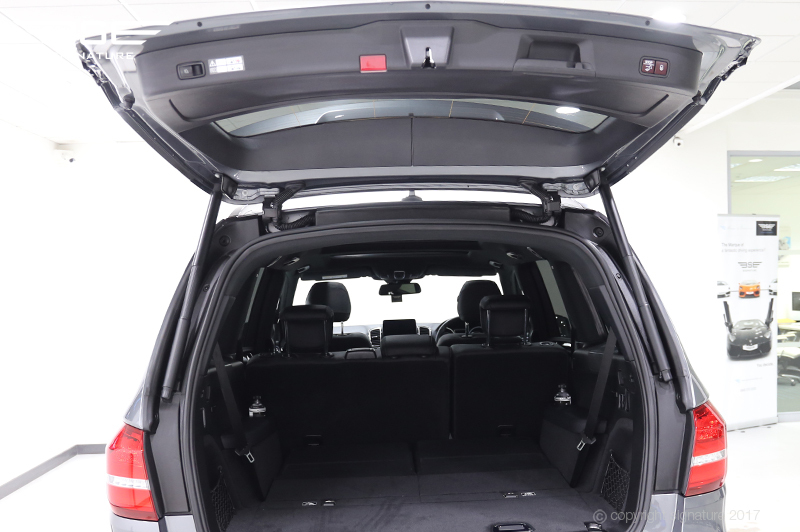 For the driver and passenger, there’s plenty of space and it’s easy to glide in and out. 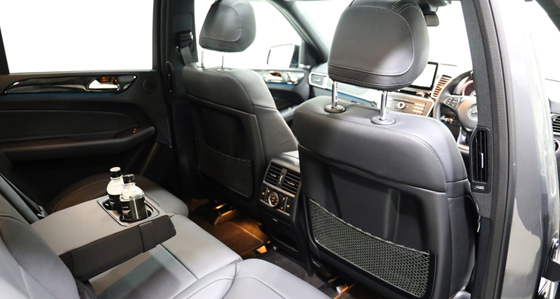 Front seats adjust in a variety of ways for extra comfort and support enabling the driver to achieve a desirable driving position. 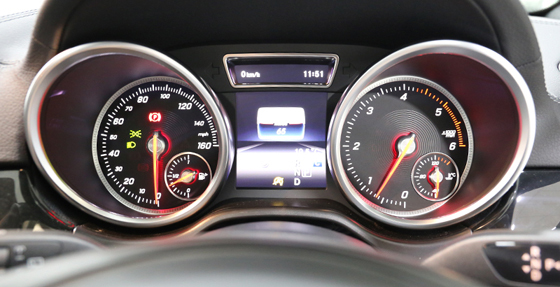 Mercedes-Benz claims a 0-62mph time of 7.8 seconds thanks to the engine which is an AMG-produced, twin-turbocharged 5.5-litre V8 which produces 577bhp - 27bhp more than its predecessor - and 560lb ft, as it did before.